and support to achieve profit. Based on this analysis, we will formulate an action plan designed to lead you and your business to whatever profit goal you choose, and we will help you with ongoing consultation and support to make your profit goals become reality. 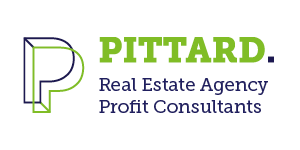 In addition to the present business condition analysis, as a Pittard member you will have exclusive access to an extensive range of tools, programs and strategies to help grow your agency and ensure that you achieve your personal and financial goals. Pittard TV – live interactive broadcasts with global experts including Denis Waitley, David Knox, Herb Cohen, Larry Winget, Jeb Blount and more! Re-Enthused. Agency Profit System a proven system that works for all agents prepared to put the effort into implementing the various elements. You owe it to yourself and your team ( or future team) to join up. The system provides you . . .
A superb four days with some wonderful system - Agency Profit system that can be easy to implement with the right people around you. Agency Profit System is Brilliant!! Such a great structure for any Real Estate Business. It’s a must if you want structure and a clear plan for your business. It’s great to have a great group of people to discuss issues with and learn from. Unless you have a perfect system already, it’s definitely worth attending the Agency Profit System to learn about the system and talk . . .
Winning Ways is extremely beneficial particularly for someone like myself with no real estate experience. Winning Ways is a great refresher course which reinvigorates you and brings to light current issues or factors in the market. The Agency Profit System has great structure. The course covers everything from start of implementation to complete usage. If you are considering attending the Agency Profit System, I think It’s definitely worth going to. I first saw it in 1997 and it helped me become No 1 in our area. This version in 2018 is even better! I thought the Agency Profit System was Bloody Brilliant! I’m so Pumped. If you are considering attending this seminar just DO IT! But don’t be overwhelmed, undertake it bit by bit. I can’t wait to get back . . .
Want leading agency management advice?